The present study analyzes envy and its effects on individuals’ willingness-to-pay. On the basis of previous research in the field of envy, an experiment with 80 subjects was designed in order to find out more about malicious envy in relation with branded products. By eliciting malicious envy through a pitch-and-toss game with an unfair outcome, a better-off and a worse-off participant could be determined. During the experiment, malicious envy was supposed to influence individuals’ willingness-to-pay for a bar of chocolate. After collecting the willingnesses-to-pay, the results of an experimental group and a control group were compared. The findings show that malicious envy effectively influences the subjects’ willingness-to-pay for the branded product as well as for the no-name product in a negative way, whereas the general perception of the chocolate is positive. Envy is a sensation that is known by people for thousands of years. In the beginning of the Old Testament in the bible, Cain murders his brother Abel. The reason for the murder of Abel is Cain’s envy and is known today as “Cain’s complex”. As God rejects Cain’s offering, he accepts Abel’s which makes Cain to murder his brother (Nauta, 2008). Furthermore, the last of the Ten Commandments disclaims envy and jealousy and says that “You shall not covet your neighbor's house; you shall not covet your neighbor's wife, or his male servant, or his female servant, or his ox, or his donkey, or anything that is your neighbor's” (Crusius & Mussweiler, 2012). Additionally, envy is also one of the seven deadly sins in the Catholic religion (van de Ven, Zeelenberg & Pieters, 2009). Today, envy is still a well-known feeling but not many people dare to speak about it or to show it. Whereas children freely express envious and spiteful feelings and actions during childhood, levels of envy and spitefulness decrease with age. Adults express envy in a subtle way but at the same time, it is still effective (Steinbeis & Singer, 2013). Generally speaking, envy is seen by one as “an asymmetry with its peer” (Laverde-Rubio, 2003) and occurs “when a person lacks another’s superior quality, achievement or possession and either desires it or wishes that the other lacked it” (Parrott & Smith, 1993). Russell (1930) perceives envy more general by describing it as a “universal human passion”. But envy is not homogenous and has two facets (Sayers, 1949). When we use the term “envy” we often consider the negative form of envy, namely malicious envy, and envy is usually understood as the envy with hostility (Smith & Kim, 2007). But indeed, there is not only one form of envy. On the one hand, there is the aforementioned malicious envy that is elicited when the other’s position is perceived to be undeserved, thus the situation is considered to be unfair. On the other hand, benign envy appears when the other’s position is perceived to be deserved (van de Ven, Zeelenberg & Pieters, 2011). Benign envy, the positive type of envy, elicits the desire to possess the same possession or achievement that the envied person has. It has a motivational force (van de Ven, Zeelenberg & Pieters, 2011) and is one cause of phenomena like “keeping-up-with-the-Joneses” (Frank, 1999) and the “bandwagon effect” (Leibenstein, 1950). Economically speaking, envy increases economic growth (van de Ven, Zeelenberg & Pieters, 2009), it can result in emulation, and can lead to the spread of trends. Benign envy has an uplifting character because of the fact that envious people want to get closer to the superior other. On the contrary, malicious envy is the wish that the envied person lacks her possession or achievement and can result in another kind of harm. Consequently, it has a pulling-down character because envious people want to see the superior other failing. This negative type of envy is related to feelings such as frustration and feelings of injustice (van de Ven, Zeelenberg & Pieters, 2009). Malicious envy is in most cases denied because one must admit the difference between him and the envied person. Studies showed that on the one hand, malicious envy hinders cooperation (Zizzo & Oswald, 2001; Parks, Rumble & Posey, 2002), and on the other hand, it reinforces punishment (Fehr & Gächter, 2002; Wobker & Kenning, 2013; Casal et al., 2012) and irrational decision making (Hoelzl & Loewenstein, 2005; Chen, 2009). Moreover, malicious envy can be a cause for schadenfreude which is found by Smith et al. (1996) as well as by Van Dijk et al. (2005). Metaphorically speaking, envy is sometimes compared to a green-eyed monster which is an indication of the green color. Green is associated with sickness and is the color of many unripe foods that cause stomach pains. Shakespeare used the green color to denote jealousy in his poetry as in The Merchant of Venice (1596) and in Othello (1604). These examples show again that envy is commonly viewed as something negative. When speaking about envy, not only the sensation of envy matters, but also its outcomes regarding positive and negative feelings in those who are its target. On the one hand, envied people can “rejoice in the coveting” of others, feel admiration, and perceive an increased self-confidence, but on the other hand, they can fear the consequences of others’ envy, feel distress, and the ill will from others (Rodriguez Mosquera, Parrott & Hurtado de Mendoza, 2010; Exline & Zell, 2012). Furthermore, feeling envied can prevent from striving for excellence and can hinder progress in general (Schoeck, 1969). The public opinion often says that envy is unjustified and thus, an egoistic feeling (Laverde-Rubio, 2003). Other studies show that the fear of being envied makes people act in a prosocial way (van de Ven, Zeelenberg & Pieters, 2010). People who are in a superior position do not increase their helping behavior toward others in general, but they are more willing to help the envious ones. This prosocial behavior is apparent for malicious but not for benign envy. Whereas malicious envy describes the feeling of resentment, benign envy is a neutral emotion which does not entail negative acts. Benign envy is not harmful but it can have two different meanings. It can either describe an expressed admiration or it motivates the person to achieve this superior possession. Therefore, it can be seen as economically advantageous. By defining envy and demonstrating its effects, it is relevant to understand where envy comes from. Envy is caused by social upward comparison and is related to the desire for an unowned product (Ackermann, MacInnis & Folkes, 2000). It is an important part of social influence and is elicited when the superiority of close or similar others is discovered. Hence, envy is more probable to be salient when there is a significant similarity between the envious one and the superior other. The biggest similarity attributes are gender, age, and social class. Without similarities, social comparison can be even irrelevant (Smith & Kim, 2007). Besides, consumers can also feel envy for socially close others who have newer and better products (Ackermann, MacInnis & Folkes, 2000). This kind of envy is benign and can lead to emulation by the envious ones. Crusius and Mussweiler (2012) show that spontaneous negative comparisons with superior others result in envious discontent. When an individual faces a better-off other, impulsive approach tendencies and spontaneous purchases are apparent but not when a better-off other is not present. In addition, self-control plays a role on the level of envy. When self-control is constrained and a better-off other is present, a higher envy level emerges. But as mentioned before, constrained self-control has no influence on envy without a better-off other. Almost everybody has once been faced with envy, especially during childhood. Children and youths are often not only envious for the sake of others’ belongings but because of branded belongings. When people are confronted with a similar other who possesses a status symbol that is superior to one’s own possession, feeling envy is a likely response. Common resources for the elicited envy are on the one hand, the status symbol itself and on the other hand, the social attention that possessing the status symbol affords its owner. Companies try to maintain these feelings of envy through continuous brand development and marketing actions. In marketing, companies often draw comparisons to consumers of a competitor’s brand in order to increase their own brand sales. Such strategies are likely to be successful only if that consumer feels close to the user of a competitor’s brand.  The advertising agency “Young & Rubicam” (2009) finds out that envy is a successful marketing tool. However, many companies often do not know and therefore, do not use the power of envy in their marketing actions in an efficient way because they do not consider envy as a possible root of their benefits. Brands that elicit strong and continuous envy are rare. An indicator for strong brands is differentness which is at the same time a prerequisite for dynamic and successful brand building. Brands have to be also conspicuous and visible. They have to be different and polarizing and should have a mysterious character. Another important factor is the brand stature which describes the involvement of a customer in the brand. Annex A provides an overview of exemplary brands and their position in an “envy zone” of brand strength and brand stature (Young & Rubicam, 2009). There have been many studies on envy, its effects, and its sources. However, envy is not commonly identified as an efficient marketing tool. Evidence for this is provided by the fact that not many brands fulfill the conditions for the development of a strong and envy eliciting brand. There is need for a deeper research about the influence of envy on the power of brands and vice versa. As certain brands can elicit envy in consumers on the one hand, envy is an engine for the power of brands on the other hand. Regarding the practical relevance, further research in the field of envy and brands could lead to a better application of envy in developing brands. In order to make better use of envy, companies should look deeper into consumer psychology. Knowing about the power of envy, adapted marketing tools can be applied which make consumers experience envy. Through the right communication with the target audience and created exclusivity, brand performance, brand value, and company success can be improved. Earlier research in the domain of envy dealt with topics such as the distinction between benign and malicious envy, social comparison, group performance, and cooperation. Social comparison is significant for the experience of envy because envy emerges through the comparison with a superior other. Group performance is negatively influenced by malicious envy. The public goods game shows that participants prefer to give up an amount of their own money in order to make the envied one lose some of his. From an economic point of view, this behavior is irrational but shows the destructive power of envy. Indeed, there has not been much looked into brands, decision making, and willingness-to-pay in relation with envy. There must be an influence on willingness-to-pay coming from envy but only few studies analyzed the direction of this influence. Crusius and Mussweiler (2012) confirmed that willingness-to-pay increases in a situation with a better-off other and possible social comparison. In an earlier study, participants were exposed to a situation where the better-off participant got a desirable product (fruit smoothie) and the worse-off participant a less desirable product (sauerkraut juice). The study confirms that an increased willingness-to-pay for the more desirable product occurs. In addition, it was shown that a purchase is more probable with a superior other than without. Besides, van de Ven, Zeelenberg, and Pieters (2010) tested envy and the willingness-to-pay for benign envy and hypothesized that malicious envy does not increase willingness-to-pay. The previously mentioned study analyzes envy caused through social comparison and its influence on the willingness-to-pay for a product or a service. It also tests the social relationship between the participant and the superior other and the deservingness of a superior position by the other one. In the mentioned study participants were exposed to an experiment with a subsequent questionnaire. These questionnaires contained questions about their sensation of benign and malicious envy during the experiment and toward a superior other. The set aim is to study the effect of envy on the willingness-to-pay as a few previous studies already did. 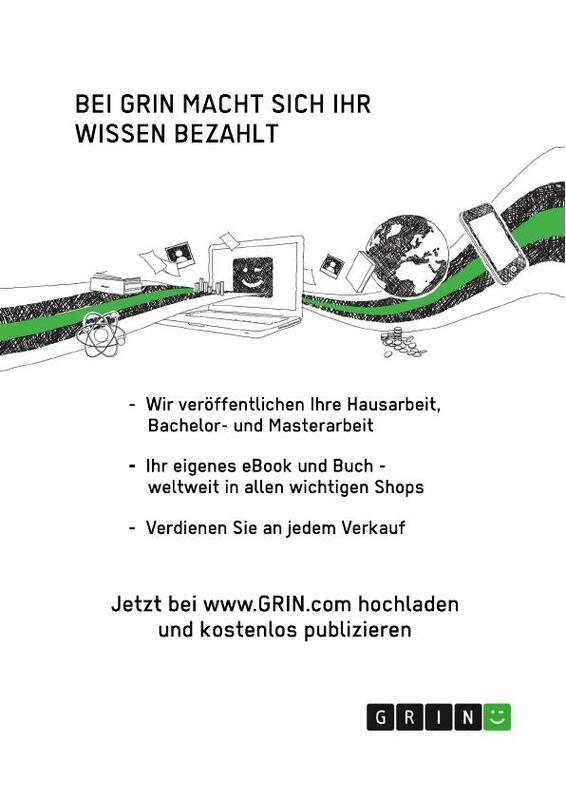 In addition, the power of brands in combination with envy is analyzed. The experiment is designed in order to test if not only envy alone but also envy that is reinforced through brand comparison has an influence on the willingness-to-pay of consumers. Besides, the experiment is conducted under the condition of close participants. 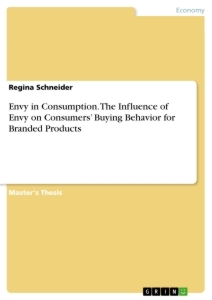 An alternative proposition to earlier studies is the direct test of the power of brands in relation with envy on changes in willingness-to-pay. The setting of the experiment for the study was as following: In order to test the willingness-to pay in a context of a branded product in combination with envy, no-name chocolate and branded chocolate was used. As envy is often elicited for products of a higher value, it is quite difficult to conduct an experiment on it. The decision for chocolate was made because of the quality and differentiation characteristics. This turns chocolate into a huge and valuable business. Big and well known brands such as “Lindt & Sprüngli” and “Milka” offer a big assortment of chocolate and are successful brands in their business. 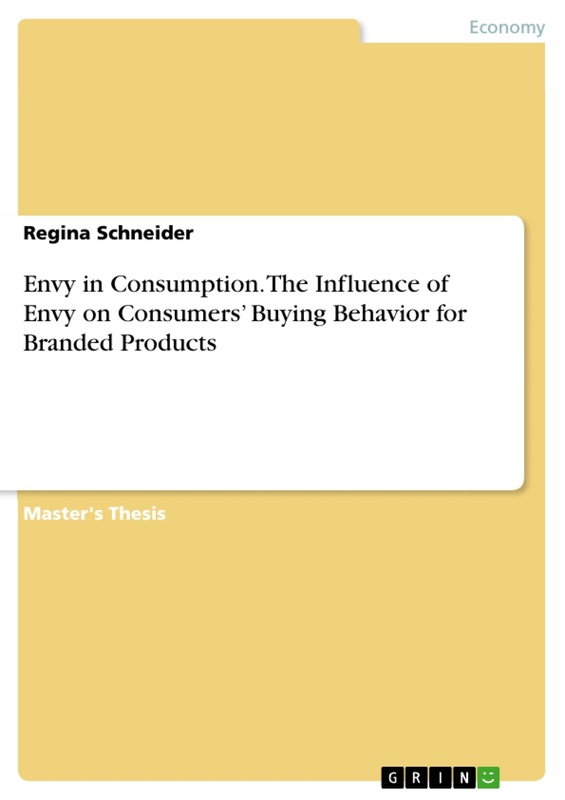 The participants (80 students at Paris Descartes University, 56 female, M age = 21.89 years, SD = 2.89) took part in an experiment designed in order to test if envy has an influence on the willingness-to-pay for branded and non-branded products. All subjects were French-speaking and were recruited at the Descartes University in Paris so that they have all been students during the experimentation. Two boxes with chocolate, a coin, and a questionnaire represented the material that was used during the experiment. One box contained unpacked pieces of a retailer own-label dark chocolate bar. The other box contained single-packaged pieces of dark Lindt chocolate with 70% cacao. Lindt chocolate was used as it was supposed to be a widely known and appreciated brand. Additionally, in both cases, dark chocolate was used in order to control for the type of chocolate. For the experimentation, it was difficult to decide either for dark or for milk chocolate as many people only prefer one type of chocolate and dislike the other one. Because of the fact that the experimentation was conducted with adults, the final decision was made for dark chocolate. Regarding the study, one control group and one experimental group were created. The experimental design was a 2x2 between-subject design with a fitting and a crossing. As the two systematic main factors had two levels, the experiment consisted of four different experimental conditions in total. The experiment was an almost full design and can be presented as following: S20<B2*C2>. The two systematic main factors were “type of chocolate” and “type of constellation” which likewise represented the independent variables. These factors operationalize the independent variables. Systematic secondary factors that were kept constant were the type of students, the experimental environment, and the type and amount of stimuli that were presented. The subjects represented the random secondary factor of generalization as the 80 chosen subjects were a representing sample of all students of the Paris Descartes University. The dependent variable of the experiment was the willingness-to-pay that was collected afterwards and functioned as an indicator for further inferences. Forty subjects were assigned to the experimental group and were told that they would participate in a product evaluation experiment. The subjects ran the experiment in pairs of two and had an obvious relationship. The relationship between the two participants was an additional factor which was considered as important for the future elicitation of malicious envy. The main idea in the experimental group was the use of two different boxes with pieces of chocolate labeled with “Lindt chocolate” and “No-name chocolate”. As the label reveals, the first box contained branded Lindt chocolate whereas the second box contained own-label chocolate from a supermarket chain unknown to the subjects. Whereas the pieces of the branded chocolate were single-packaged, the pieces of the no-name chocolate were presented unpacked in a box. For the study conducted in the experimental group, each time, two persons were chosen on purpose together in order to make a direct social comparison possible. The groups of two were subjects who knew each other and were not strangers. The relation was a prerequisite for the future elicitation of envy. Whereas one of the two tasted the branded Lindt chocolate, the other one tasted a piece of the no-name chocolate. The subjects were truthfully informed that a pitch-and-toss game would decide about the distribution of the chocolate. In fact, the pitch-and-toss game had an additional function. It was used in order to elicit malicious envy in one of the subjects and the feeling of being envied in the other subject. As envy, brands, and their influence on consumers’ willingness-to-pay take center stage, it was important to create envy as it represents the essential condition of the experiment. The subjects who were each time in a group of two were asked to play the game in order to decide about the subject who would get the branded chocolate. After determining the winner of the pitch-and-toss game, they were told that the loser of the game would get the Lindt chocolate and that the winner would get the own-label chocolate. Thereupon, both subjects had to eat the chocolate that they got through the pitch-and-toss game before the other’s face. Hence, envy was elicited by the unfair and unexpected decision about the winner and the loser of the pitch-and-toss game. As already mentioned, the type of envy depends on the deservingness or the undeservingness of another’s superior position, possession or achievement. It is thus of particular importance how envy is elicited. The idea was to manipulate a situation which would be perceived to be undeserved. The pitch-and-toss game was an adequate means in order to avoid subjects to reveal the purpose of the game too easily. The elicitation of envy through the pitch-and-toss game served as a prior assumption for the whole experiment. In the case of the experiment, the person in the worse-off situation would feel frustrated and would consider the situation as unfair. As the undeservingness is obvious, the better-off person would be conscious of it. The undeserved situation was created by tossing a coin. If pitch was tossed, the person with toss won and vice versa. The participants did not know about this procedure in advance and certainly noticed the undeserved situation for both subjects. This procedure made it possible to decide about the better-off and the worse-off participant for the experiment. By creating an undeserved situation, the aim was the creation of malicious envy in the worse-off participant during the experiment. This malicious envy was elicited because the worse-off participant desired something that was entitled to him but that the other subject got. “Keeping-up-with-the-Joneses” is the strong desire to have what others have (Farlex, Inc., 2004). The “bandwagon effect” describes the desire of people to be and behave like other individuals and the desire to join the crowd (Leibenstein, 1950). Schadenfreude is the pleasure at the misfortune of others (van de Ven, Zeelenberg & Pieters, 2009). B is the type of chocolate with two levels (branded versus non-branded) and C is the type of experimental constellation (with a partner versus alone). No-name is used as a synonym for non-branded. Own-label products are a line of products strategically branded by a retailer within a single brand identity (Farlex, Inc., 2004).